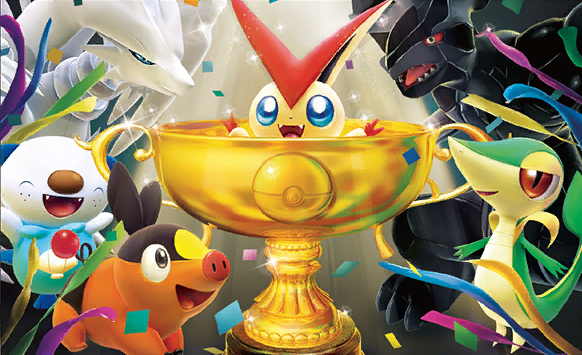 Earlier this week, I ran through the numbers on this year’s delegation to the Pokémon TCG World Championships from the United States and Canada. It’s a fun piece to write because it helps all levels of players better understand the dedication necessary to reach certain tiers of the game, and as we saw, can help illuminate problems to be looked at in the structure. Today, I’m going to expand on that discussion with a look at the Worlds structure itself and some possible alterations thereupon. Within that discussion, the issue of what’s “right” for the difficulty of a Worlds invitation is of implicit importance, and I’ll touch on my take on that as well. At the end, I’ll touch a bit on the Nashville Open since it has attracted a bit of controversy in the last few days through its handling this year. While I took considerable liberties with adding opinion to the narrative of my piece on Sunday, it fundamentally was an effort to display numerical facts in a way that was somewhat interesting. Today, this is a bit of the opposite: this is entirely me writing my opinion from years of experience in the game, with some numbers I’ve conjured to back my opinions. As such, beyond the normal disclaimer, I want to emphasize that the contents wherein are my opinion, and my opinion alone. When considering the structure at Worlds, I want to first remind people of what we’ve had in the past. First off, it’s necessary to consider how players qualify for the big event. For most of the game’s modern era, and through 2012, a certain number of players were invited from each rating zone based on pre-announced cutoffs. For example, in 2012, the first year with Championship Points, the Top 40 from each division were invited from North America. A key change that came with 2012 was a shift from a modified Elo Rating system to the Championship Point system we know today, though it took a slightly different form. With Elo, players were often discouraged from playing tournaments once their status in Top 40 was “guaranteed,” as losing to unlucky matchups round-to-round was a great way to lose one’s Elo standing. Notoriously, many top North American players sat out US Nationals to protect their Worlds invitation. To say the least, a system that discourages players from playing is not of ideal design, and moving to Championship Points removed that. On the flip side, it did take us to the other extreme: now, there was no downside to playing as many tournaments as possible. The only pseudo-check on this effect was a Best Finish Limit—in principle, players’ marginal benefit on playing more tournaments would gradually decrease as they did well. And, in cases like City Championships (with weekends and weekends of play opportunity), that’s the result we often saw: my last year of Seniors in 2013 saw me win my BFL-worth of Cities within the first two weekends, meaning I had nothing to gain from playing more. A key difference, though, between 2012 and 2013 that facilitated that motivation on my part was a move from Top 40 to a set qualification bar: the number of Worlds competitors was no longer fixed, but instead anyone who attained the right number of Championship Points would be allowed to play. In 2012, “blocking” was a concept we saw to fairly prominent effect in the Junior and Senior divisions, as it was advantageous to keep others from adding to their own point total to protect your own spot. In this way, the Best Finish Limit wasn’t actually effective in discouraging play. With 2013, and the move to a set bar, “blocking” fell out of prominence to some effect—though, technically, blocking other players from Worlds was a good thing for someone to selfishly pursue, too. The only substantial change 2014 brought was an increase in that aforementioned CP bar, and with that came much community consternation. Fortunately, everyone survived. With the only check on play motivation remaining the Best Finish Limit, we landed in the 2015 season and the modern era of Day 1/Day 2 Worlds. 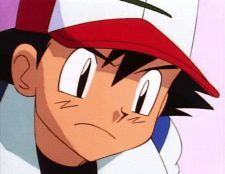 That system, from Worlds’ perspective, has not changed since then—with only the exception of the size of Day 1 waning and waxing as TPCi seemingly tries to find a magic formula. Some of the CP structure changes in the interim have altered the complexion of the Worlds incentive structure a bit (for example, this year’s structure made 400-1000 CP a no man’s land without hope by the time NAIC came around), but no changes have directly affected the way Worlds works. As we come into this year’s edition of the event, it will be the largest TCG Masters World Championship in the history of the game, though it does lose out in the overall “largest TCG World Championship” category to 2016 due to historically large Junior and Senior divisions that year. Invites breakdown as follow. You can click the image to view a larger version. Compared to the relatively small nature of last year’s event, we’re back to a more 2016-style look, with a significantly larger tournament this year. There are pros and cons to this, and I’ll address them more later. Because it’s so hard to balance a CP structure within practical considerations, this is actually essentially the last you’ll hear from me on the subject of Championship Points today, except indirect discussion of it when it comes to difficulty, and fairness of that difficulty. Instead, we’re going to focus on the institution of Worlds itself. One example of a systematic issue with the Worlds system that arose from what I wrote Sunday: the lack of available incentive to players that lie outside their region’s Day 2 invite threshold, but that have passed their region’s Day 1 invitation bar. With the Day 1 invitation locked in, but nothing more to practically play for, this group of players lands in an awkward and dissatisfying spot. Admittedly, something to consider when making any structural change is the number of players it affects. Making changes to hurt any number of players is bad, making changes that change things drastically to help only a smaller number of players is probably not ideal, but making changes to help a small number of players that hurt a large number is definitely not good. The key is to find changes that help a few players, but still have minimal cost to other player, or to find universally-good changes. Obviously, the latter is mostly a myth, and I don’t claim to know of any! It’s furthermore essential to note that I don’t really claim to know how to do this better than those that are doing it. This is merely me, from my perspective, pitching ideas that I think could be good. Assuming TPCi does not pull any last-second surprises, the World Championships will again aim to advance about 64 players from each Day 1 to join the approximately 62 already qualified for Day 2. As it is, the 17th/23rd/9th/9th players in the respective zones are on even footing with the player who achieved exactly 400 CP. Worse, people like Jose Marrero, who missed Top 16 by 18 points, are faced with a sea of difference. Now, to a point, there has to be cutoffs. Someone is always going to be the first loser—that’s just how this works. Nevertheless, there is no compelling altruistic reason to make the divide so harsh. The main idea I would pitch to this effect: Day 1 byes for those that miss Top 16, but were still in the upper percentile of their region. A lot of math would go into deciding how many byes and to how many players, but since I think that math would be superfluous to most of you, I’m going to dispense with it and instead talk through the two broad ways this could be done. Like with what we’ve seen with CP invites, there could be two approaches: a CP bar and a Top X allocation. As far as those earning Day 2 byes are concerned, this does not affect them in any manner except maybe setting Day 2 up to be harder in terms of player composition. Assuming the math is done properly, the right number of rounds will still be played to advance ~64 to Day 2, meaning Day 2 is no easier or harder in terms of round count or tournament structure. This does have the potential to help the players chasing these spots earlier on in the year, though, as the cushion of at least having some Day 1 advantage would help minimize the absurdity of the rat race Top 22/16/8 has become. For those that sit in these CP ranges, this is an obvious benefit! When the byes are on a limited distribution, it’s a genuine upgrade to their chances to make Day 2 while not being the Day 2 bye itself. There’s no real downside to this group, but once again, it also does minimize the rat-race nature of Top 16 to a degree. The real potential for downside on this move comes to the other Day 1 competitors. Is there an argument that this “downside” is warranted, or not a significant concern as a result of the “ease” of a Day 1 invite? I’m not going to make that case, but I know some people that will. This proposal has the potential to harm them by increasing the number of Rounds they’ll have to win on Day 1 to advance to Day 2, player count being equal. They aren’t just entering Day 1 at the same playing field, with some already elevated above—by nature of that elevation, the non-byes fall to a lessened status within the tournament. This change would be bad news for the Day 1ers that didn’t benefit, so the conversation has to shift to whether there’s sufficient justification for the act. Consideration has to be whether this offered extra incentive adds enough to the structure to justifying diminishing the value of the simple Day 1 invite. The short of this is that I think it varies heavily depending on how heavily offered the byes were, in terms of round and player numbers, but that a relatively modest offering would strike a solid balance. This, though, gets more into the issue of what an invite “should” mean, the value of an “easy” invite vs a “hard” invite, and other things that I want to save for this next section. Suffice to say, though, I believe small numbers of byes awarded to a relatively limited slate of players would be a good way to offset the incentive cliff that took hold this year. When the World Championships began a trend toward expansion over the last few years, complaints that it had become “too easy” or that there were “too many people invited” began with them. Before 2013, Worlds was a fairly constant and predictable size, and the only discussion that history offers about the “ease” of Worlds in that era addresses the occasional year where invites were especially hard. Accusations of too easy didn’t feature heavily in 2013, and to say the least, 2014 was much-maligned as too hard if anything (though, in retrospect, a solid number of people achieved that invitation anyway). With 2015, we landed an eye-poppingly low figure, and the first true controversy of ease in the modern era: 300 CP. An infrequently considered historical fact of Worlds is that invite bars are, to a degree—a lessening degree, it seems, but still some degree—targeted around the size of the venue reserved for a given year. This was historically a factor in 2013 to 2014, where TPCi employees commented publicly that 2013 was easier with an eye toward filling the venue—where 2014’s smaller space dictated less players: at least, that was the theory. This seems to have reduced in importance as a factor, though, as we saw last year’s invite bar be so high that it required lowering later, where this year’s was noticeably easier (despite there being less reserved space in Nashville). Of course, 2016’s infamous closed-to-the-public fiasco is what happens when TPCi misses its targets by a drastic margin, so there’s still necessarily a consideration here, but it seems to be one that has fallen. The 2015 model brought the Boston Open with it, and since we’ve seen one every year except SF (though, attendees will remember that room where VGC was played Day 1: it’d have been perfect, I think), I think it’s an intentional part of the current makeup of Worlds. We’ll talk more about the Open later, but the point is that we have a fairly defined structure for Worlds at this point. It’s not as though Worlds has changed; the qualification mechanism is what’s caused “too easy! too hard!” over the last 4 seasons. What we haven’t had is consistency in that qualification mechanism. That’s been a necessary evil, given we’ve had wholesale changes to the structure nearly every year. The introduction of League Cups last year wasn’t exactly smooth, and it’s possible that part of the miss on TPCi’s projections came from that. The same could be said about the transition to year-round-Regionals, and the Internationals. This year we saw the final piece of the vision that had been whispered about for years, with all four quarters of Cups operational (well…mostly operational). Meaning, next year ought to be about the same. I expect TPCi will tweak some things, and any of the changes I’ve pitched today will affect incentive structures, behaviors, and ultimately the number of invites, but we should be done with wholesale tournament structure changes. That leaves us in a good spot to consider what a Worlds invitation is achieving, what it should achieve, and what people feel about that. The World Championships are fundamentally the “carrot” in Play! Pokémon’s tournament model. Sure, there are the quarterly Travel Stipends to aim for, but those require being in the midst of a Top 16 World Championships hunt anyway (notably, this could change if they made these stipends based only on quarterly performance, but that’d be a remarkable alteration to the complexion of the circuit and Top 16 race). As it is, Worlds is all there is, and right now, there are two levels of chase: Day 1 and Day 2. The two are stratospheres apart, with the Day 2 chase catering to the 1% of the 1% of the playerbase that wants to prove itself the “very best.” In contrast, Day 1 is the more accessible achievement point. Remember a fundamental goal here: the tournament structure exists to get people to play Pokémon. Getting deeper than that, as to the “why?” involves things best left for another day, but everyone would likely agree that TPCi is probably not configuring a structure so that less people play. A statistic to place all of this in perspective: The average North American Zone Day 1 invite went to about the top 5% in terms of attendance this year. Another 95% of the game will never sniff Worlds: and that’s only among people who attended a North American Regional! There are countless more players out there that will never be near Worlds, and to whom it doesn’t really matter whether Day 1 is 200 CP or 2000 CP. In that sense, there are a few things to consider: 400 CP this year wasn’t enough to get the invite to “everyone who wants one!” as is often alleged. In general, the altruistic “it’s too easy!” crowd is tiresome and yearning for a tournament structure that is dead and gone. It’s an appeal to an end that is dead, gone, and shows no signs of returning. The beauty of the current structure is that, if a “great” player wants to take a relatively easy season, they can earn their Day 1 invitation and then prove their greatness by having no trouble with Day 1—it isn’t foolproof, but reducing your Day 2 qualification from 9 months to 9 rounds should come with some added degree of luck. Similarly, if a truly unworthy player, should we first agree to define such a thing (we ought to not), finds a way into a Day 1 invite, Day 1 will quickly meter justice—”justice”—to the situation. The system has a goal that we identified earlier: encourage as many players as possible to play Pokémon. I don’t think an easier World Championship is actually that critical to this goal, as demonstrated by the stats earlier: the extreme majority never will make Worlds anyway, and it seemingly isn’t a serious part of their competitive experience. This is a point often lost by both sides of the ease-of-Worlds argument, and one almost always lost when proposing drastic structural reform—the bread and butter of the structure, more-casual players, don’t especially care how easy Worlds is (and certainly not how hard Top 16 NA is). Put another way, there are more than 10,000 people in HeyFonte, a Facebook group that purports itself to be about competitive play. Virbank City doesn’t make any such claims, and is often visibly not so, but has almost double the members. Around 700 people earned Worlds invites this year in Masters—both groups have Senior representation as well, but the bulk is yet Masters. Importantly, 100% of invitees aren’t even in either group! The competitive scene is vast beyond even those who earned an invite in this so-called “easy” year, and it would be good of all to remember that. The game wouldn’t be possible on this scale otherwise. As TPCi attempts to encourage people to play the game, it makes sense to have a visually-attainable World Championship. We see that Worlds’ invites attainability do have some effect on player enthusiasm, as attendance does manage to markedly drop as the season wears on: it’s not the only reason, but I would say it probably is a significant one. If we want the game to continue to thrive, a visually-attainable Day 1 seems likely to demonstrably help to some degree, but more critically, it definitely does not hurt. And, for those who are truly so worthy of Day 2, X-2 ought not be a challenge. Personally, there’s a reason I chased Day 2. Briefly, I want to touch on the controversy that emerged as TPCi blocked the first half of Nashville Open seats for non-Worlds competitors. This has been taken with mixed reactions, with some praising the move and others taking it as an affront to those who dedicated the time—and had the success—to earn an invite to Day 1. I’m going to speculate on why I think TPCi made this choice (which, personally, I think is valid). Why does the Open exist? Personally, I would point out that most of Pokémon’s fanbase is implicitly casual: when the Twitter page ran a poll asking its followers which game they would participate in if they happened to be in the room, VGC won by an incredible margin over TCG and Pokken. (For those who have been under a rock, the VGC circuit is…languishing.) At Worlds last year, I would wager a confident guess that the Pokémon Go and casual spectator-badge crowd outnumbered those of us with invites to all 3 games. Worlds, at this point, is a spectacle: one that TPCi is right to take advantage of. In that vein, I believe the Open is their idea of a marketing tool. Unfortunately, I was freed to play in it last year in Anaheim, and anecdotally I had a few opponents—and heard many stories next to me—that had barely ever played before. There were still a sizable number of players with the competitive element in full focus, but for some it was a first introduction to the game’s truly competitive scene. With the verbiage on Pokémon.com’s website this year (“Day 1 competitors will be allowed to register space permitting”) and the move to limit this registration, I am increasingly confident that TPCi envisions the Open as a marketing tool and not a facet of the competitive series. Of course, it can function that way too—a good chunk of points to start off an invite is a good way to incentivize newbies to pursue one! In fact, limiting the Day 1 entrants from the event unambiguously softens the competition: maybe this is a consideration, with the idea of pushing more players to believe their 2019 Worlds invitation is indeed attainable. I am entirely speculating. If it were up to me, the Open would have some sort of unique prize scheme (picture Worlds themed Switch skins or something) and not affect the upcoming season’s Day 2 chase. You could even give Cup points—it isn’t like most players would spend a day at Worlds chasing a giant League Cup. But, on the other hand, I can entirely understand TPCi may have potential motives beyond what we see readily with the decisions they make here. I don’t love the Open, but I do increasingly have the capacity to understand scenarios where it plays an integral role at Worlds. It’s only a shame that walk-ons to the site will be involved in a cutthroat duel for spots on Friday with the Day 1 competitors, and it’s truly unfortunate that TPCi suddenly opened registration without warning when half of the world was asleep. International competitors are already at a disadvantage with the Open’s second window, given many have data limitations while within the United States, and opening overnight without warning is a further gut-punch. If anything could improve the Open, added transparency around its registration process would be it, in my mind. I hope you found something interesting here! It’s come to my attention that my notifications on comment threads have been spotty at best, so I’ve missed some on recent articles, but I’ll see to it that this doesn’t happen again. More than anything, like with much of what I right, my goal was to encourage thought and some perspective consideration with this piece. I hope it met those goals. The best of luck to you, whether you’re prepping for Worlds, headed to the Open, or awaiting 2019 details with bated breath.